Thanks has been given after the donations from the public and the University of Southampton enabled terminally ill PhD student to fly home. Update – Crowdfunding Campaign to Help Dying University of Southampton PhD Student Back Home Is Successful! 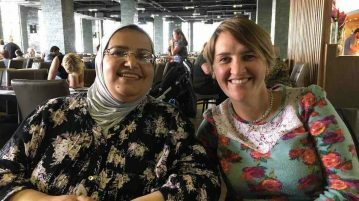 A crowdfunding campaign launched to reunite a terminally ill Southampton student with her family in Iraq has been successful. Luke Goodger on the future of a Libya and Middle-East without Gadaffi.